Dubai Design Week recently unveiled its full installations programme: a diverse series of high-impact sculptural, architectural and experiential works designed to challenge conventions, inspire through innovation and help establish Dubai as the Middle Eastern hub of the world design community. 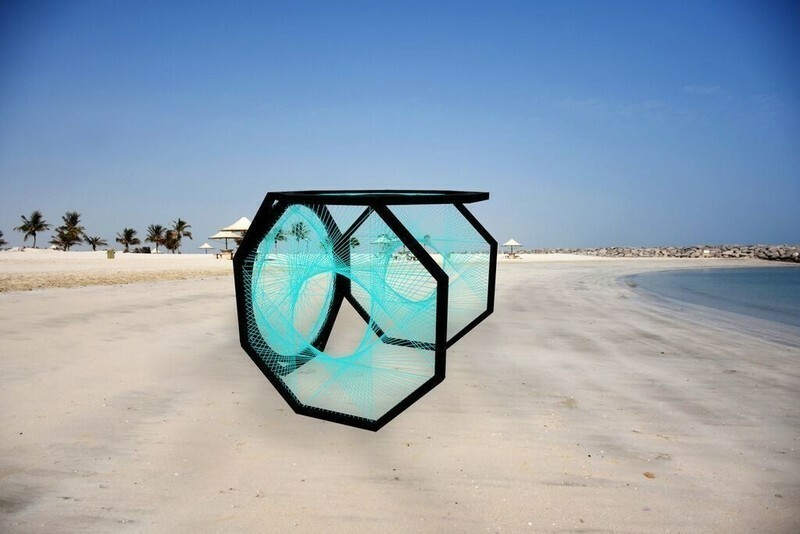 The Installations are a core strand of Dubai Design Week’s mission, underlining Dubai’s status as a city where wonder, beauty and creative expression can be found everywhere. Held under the patronage of Her Highness Sheikha Latifa bint Mohammed bin Rashid Al Maktoum, Vice Chairman of the Dubai Culture & Arts Authority (Dubai Culture), Dubai Design Week is managed by the Art Dubai Group in partnership with Dubai Design District (d3) and supported by Dubai Culture & Arts Authority (Dubai Culture) and the Dubai Design and Fashion Council. 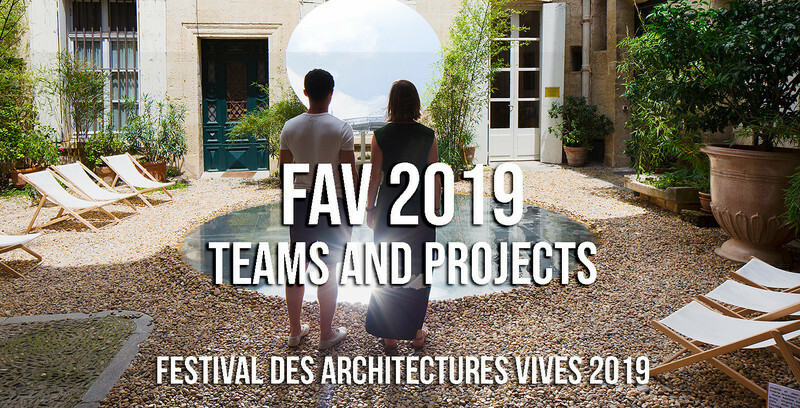 The 12 site-specific works have been created by a handpicked selection of renowned international and local designers, artists and architects and will be positioned at strategic locations around the city for the duration of the event. “d3, as a destination dedicated to design, is committed to nurturing the growth of emerging local talent whilst providing a global platform for established international artists. Through supporting and hosting events like Dubai Design Week, we hope to position Dubai as global design hub for the region’s creative community,” says Mohammad Saeed Al Shehhi, COO, Dubai Design District, d3. Many of the installations will receive their world premiere at Dubai Design Week. After the event, many will remain in situ, acting as urban landmarks for the Dubai of the future; others will be rotated around the city to introduce them to different audiences and alternative contexts. interface, this data moulds every aspect of the mandala, which is then fabricated using a 3D printer. The exhibition site will present real-time projections showing the emotional data collected by the sensors, as well as the physical mandala structures that result. The designer Guto Requena is an award-winning Brazilian architect who has lectured and exhibited worldwide. He was selected by Google and Walmart.com to develop the firms’ Brazilian headquarters, a commission that won him ‘Building of the Year’ from Arch Daily in 2013. The work of his studio explores memory, digital culture and poetic narrative. The installation Untitled (Archway) is a transparent arch built entirely using web-like glass filaments, in real time. The design of the structure is guided by the principles of indeterminate inflorescence – a process of unending growth mimicking the rules that determine the arrangement of flowers on a plant's stem. In biological systems that demonstrate indeterminate inflorescence, there is no true terminal node. Each node is a starting point; the system is mutable, self-supporting and ever expanding. 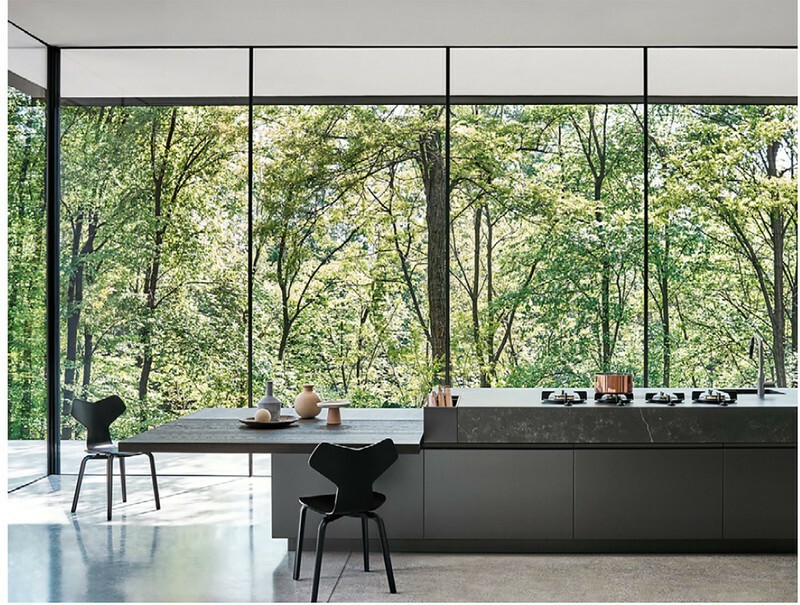 Inspired by such plant systems, Inflorescent also toys with the strength and fragility of glass, thereby pursuing a fine balance between concrete form and ephemeral experience. The designer Anjali Srinivasan studied Accessories Design at the National Institute of Fashion Technology in New Delhi and holds a BFA from Alfred University, New York. She completed her graduate studies at Rhode Island School of Design in 2007. 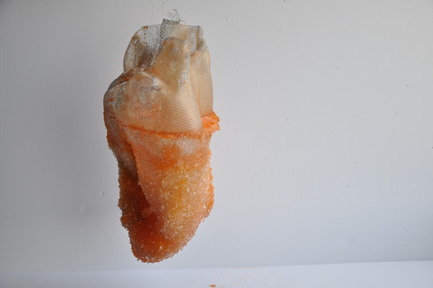 Her work seeks to erode the notion of the self-contained object by creating tools, devices, toys and installations that are incomplete without human presence. Her interests include creative collaborations with traditional artisans in India, and research and design initiatives aimed at socio-economic empowerment. Anjali currently directs the UAE’s only artist-run, handcrafted glass-making enterprise, ChoChoMa Studios, in Dubai, which sponsors the installation. The installation Blurring the boundaries between sculpture and science, LOT36587 is a site-specific exploration of the notions of both ‘container’ and ‘contained’. Inspired by the formation of cells and embryos, the installation represents the obsessively repetitive motion of an organic container as it takes over the unoccupied spaces surrounding it. the prestigious Sheikha Manal Young Artist Award in 2011. The installation Simultaneously, a series of screens acting as mirrors each reflects a different moment of passing time, counting back from ‘now,’ to a few seconds into the past. The existence of ‘now’ is something that we take for granted and rarely examine. Just as we are unconscious of our own body temperatures or breathing, we tend to forget how the current moment is part of a constant flow of time. The shifting reflections of this installation force the observer to question and explore their connection to the present moment. The designer Yohei Iwaki is an art director and co-founder of Tokyo’s TWOTONE INC. He has worked on a number of projects with global companies as art director of digital advertising and on-screen media design, receiving awards in various areas of international advertising. 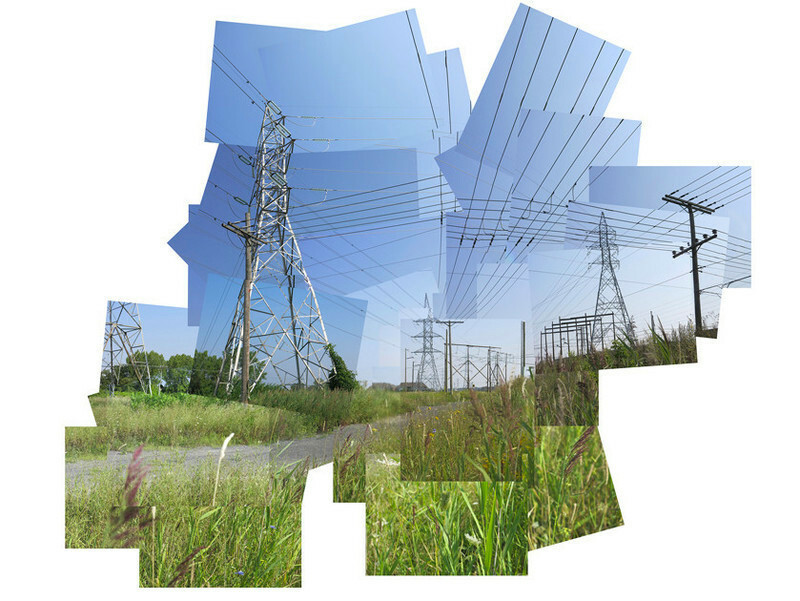 He has also recently worked on digital-media installations, exhibiting in Asia and Europe. Mohammed Initiative to turn their patterns derived from rugs created by Afghan artisans into music. The designers Zsanett Szirmay is a master’s student at the Department of Textile Design of the Moholy-Nagy University of Art and Design Budapest (MOME). 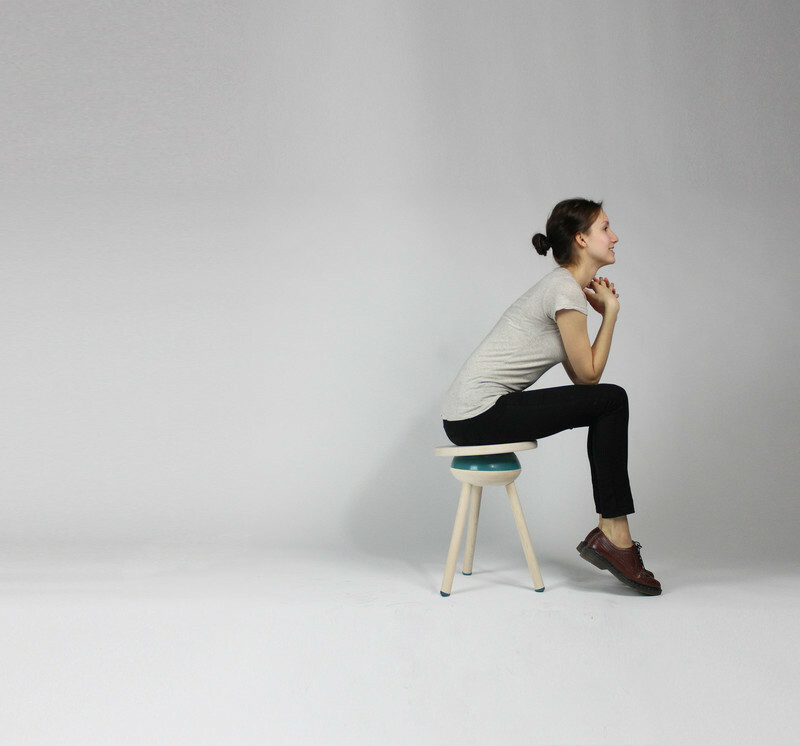 Her approach to design is characterised by experimentation and integrative thinking. Bálint Tárkány-Kovács is a musician, composer and the founder of the Tárkány Művek) band, which takes a folk-led approach to jazz music. Művek is also involved with music education, song writing and record publishing. The installation Detritus Wall aims to redefine our perception of waste. In a world where vast quantities of leftover wood and cardboard are relegated to rubbish bins with no further use, Al-Sammarraie explores the use of such waste to create different forms, including dynamic furniture pieces and installations that act as sonic and visual barriers. 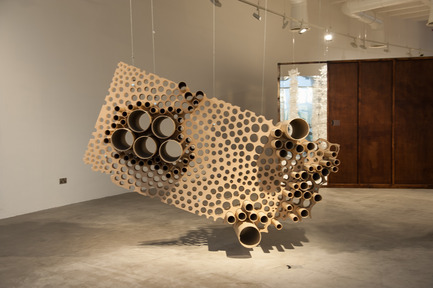 Composed of dozens of reclaimed pieces of cardboard and wood, cut and assembled using CAD software, the objects engender playful interactions with their users and rekindle the overlooked beauty within their materiality. With Detritus Wall, Al-Sammarraie takes what is generally deemed useless and ugly and repurposes as a functional object that is both alluring and sustainable. The designer Born in 1991 in Iraq, Ali Al-Sammarraie graduated as an architect and an urban designer from the American University of Sharjah and Louisiana State University, USA. His paper Future architecture in the UAE: A hybrid of tradition and technology is an award-winning exploration of society, context and present architecture in the UAE, which hybridises modern technology with local identity. His interests include religion, society, science and their implications for contemporary design. The installation The muqarnas is a form of architectural decoration composed of niche-like, honeycomb shapes, arranged in tiers that cover the undersides of vaults and arches. LUZ, in effect, is a solidified interpretation of the Alhambra muqarnas, transforming an arrangement of spaces into solid shapes through a process of deconstruction. 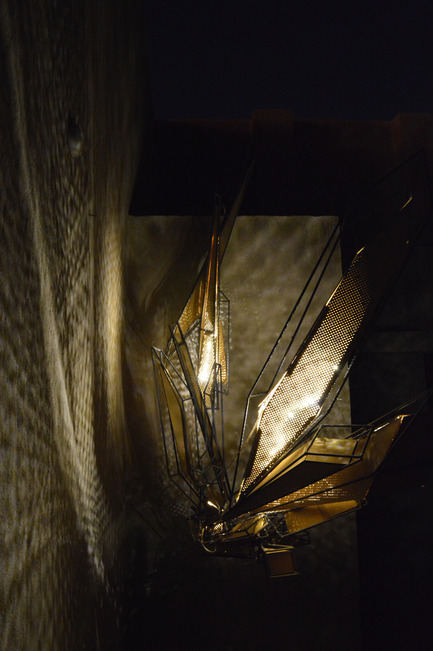 The installation inverts the geometry, materiality and light source of the murqanas to create a collection of pieces in which each represents the physical manifestation of a surface. The regular half-tone pattern of these objects is reconfigured at it transforms into projected light, becoming fluid, organic and ethereal. The designers Bahar Al Bahar is a Syrian architect and designer living in the UAE, whose work operates at the threshold between the digital and the material. He believes that through understanding the potential and limitations of both, their integration can generate rich and rewarding results. Sawsan Al Bahar is a Syrian architect and artist, trained in architecture and visual media. 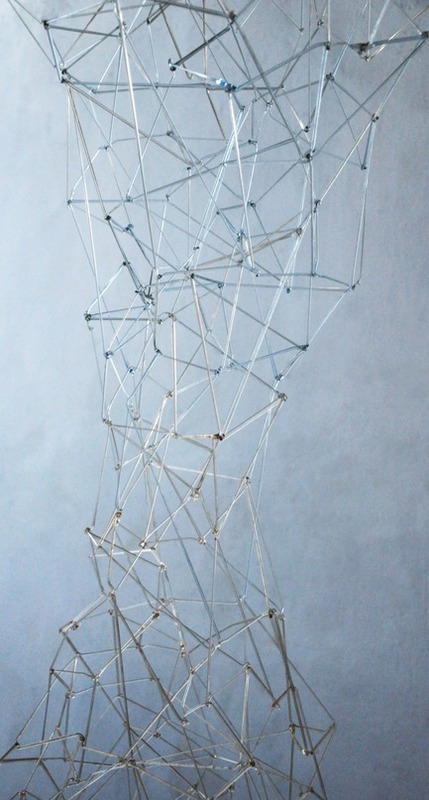 She approaches art and printmaking as a cross-disciplinary practice, combining contemporary architectural production processes with traditional art techniques. The installation Deconstructing Zone is an area featuring a series of furniture pieces that can be manipulated to create different final products. Their ultimate forms and uses alter depending on the ways those pieces are assembled, inviting visitors to build and rebuild their own furniture according to their own desires and imagination – for example, why not combine part of a chair and a table to create a garden? 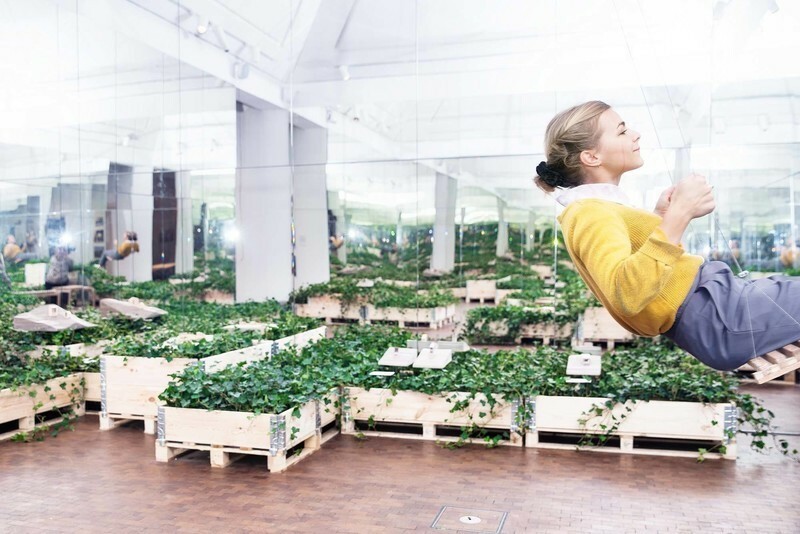 Despite its apparent playfulness and whimsy, Deconstructing Zone acts as means of promoting cultural exchange, enhancing urban experience and cultivating personal interactions in city settings. Deconstructing Zone is sponsored by Coletivo Amor de Madre, an initiative that seeks to create exchanges, share information and change our collective mindset by developing and trading works by contemporary designers and artists from diverse regions and cultures around the world. The designer Henrique Stabile is a Doctor of Architecture and Urban Planning at the University of São Paulo. 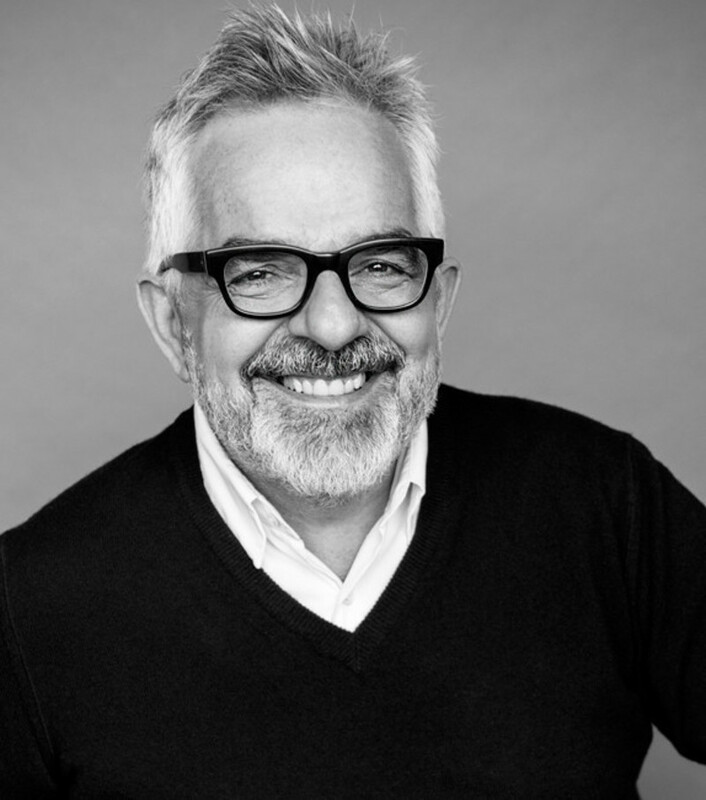 He has worked in the fields of design and architecture at offices in Brazil, the US and China, and has been involved in architectural-design product management and creative project management for organisations of all sizes. Henrique has lectured at academic institutions across Brazil and his recent project, #deconstructingCITIES, has had exhibitions in São Paulo and Beijing. The installation Nervous Structure is a site-specific interactive installation consisting of a sculpture composed of vertical and parallel elastic cords that are illuminated with a computer-generated video projection of lines. The motion of these lines is governed by a simulation, which makes them behave like soft ropes. 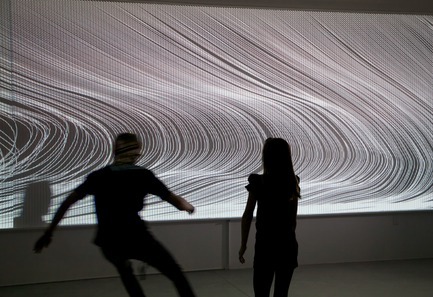 The movements of the viewer influence the lines’ movements by means of a computer that translates physical gesture into virtual force, while the physical cords of the installation remain motionless. The piece revolves around the idea of interface – the point of contact between two different entities: the viewer and the piece itself, the real and the virtual, and between the foreground and background (as the projection creates an interference pattern with the sculpture). Nervous Structure is part of a series of works that investigate ideas of perception and participation through the exploration of the relationships between the physical and the virtual worlds. The designers Based in Detroit, USA, Annica Cuppetelli and Cristobal Mendoza began collaborating as Cuppetelli and Mendoza in 2010. Their work has been exhibited in the Denver Art Museum, the Bienal de Video y Artes Mediales in Chile and at festivals such as Nemo 2013 (France), Scopitone 2012 (France), ISEA 2012, FILE 2011 (Brazil), FAD 2011(Brazil) and video_dumbo 2011 and 2013 (New York). 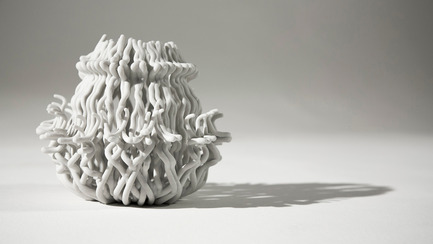 Cuppetelli received an MFA in Fibers from Cranbrook Academy of Art, whereas Mendoza completed an MFA in digital and media from the Rhode Island School of Design. The installation Yaroof is a geometric piece with a structure and components inspired by the traditional shore-fishing technique of the same name, which uses beach seine netting made of strong mesh. Fishermen lay one end of the net on the sand and wade into the sea holding the other, creating a half-circle of netting that catches fish when it is pulled ashore. Yaroof consists of four octagonal frames, each with a nylon-rope pattern that reflects the shape and structure of a fishing net. 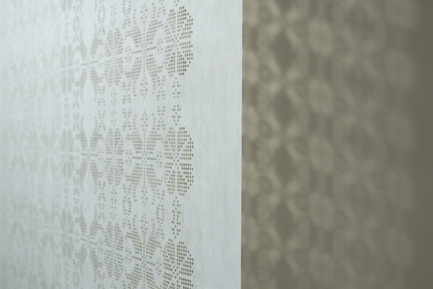 Evoking complex Arabesque motifs, these patterns feature curved shapes created entirely with straight lines. Positioned on the beach, the installation’s half-open structure creates a shelter-like structure, providing shade for beachgoers. The designer Based in Dubai, Aljoud Lootah is a multidisciplinary designer whose work explores the effects of contrast in form and function, often combining traditional silhouettes and concepts with modern elements. As a product designer, she has been involved in projects that interpret Emirati culture, traditional craftsmanship and contemporary design, and typically uses patterns, folds and geometric shapes to express her ideas. The installation Thousands of years ago, people discovered that fire had the power to harden earth into a permanent solid form. Such forms served as shelters and were used as containers for seeds, food and water. In fact, terracotta was one of the UAE’s first commodities. 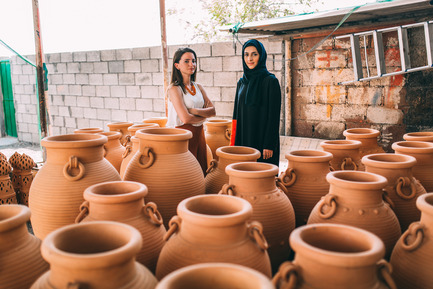 Living in the UAE inspired Saeed and Hazbar to explore the craft of pottery, its geometry and the artisanal process of shaping it on a wheel. 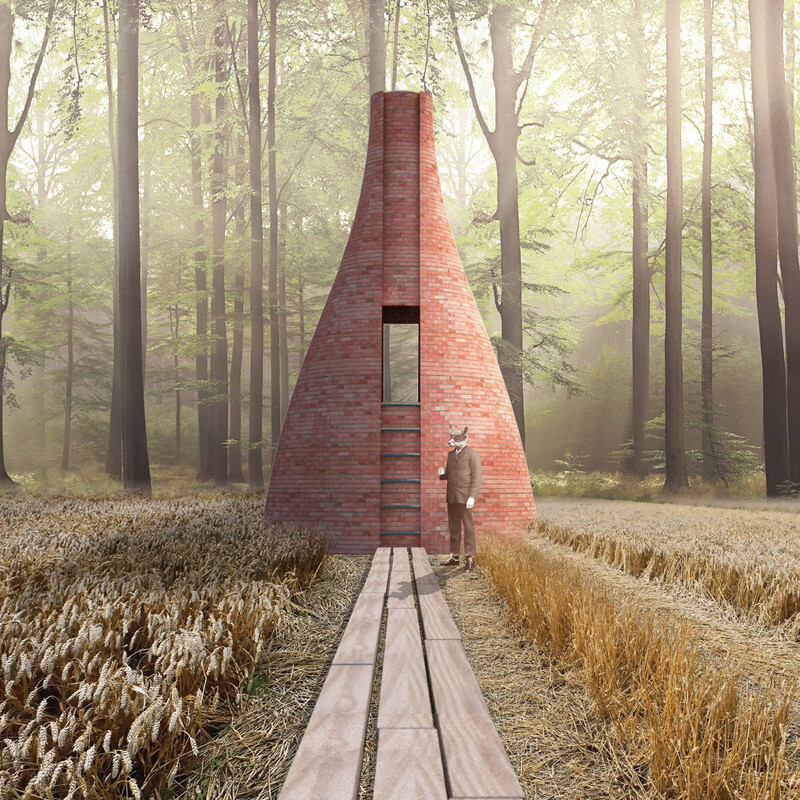 The outdoor installation Earth Hives is a re-examination of the potter’s craft within the region, redefining the context of terracotta and human interaction with it. Featuring a lighting system embedded within terracotta hemispheres, the beehive cones of Earth Hives juxtapose the primitive, delicate and fragile with Dubai’s urban landscape. The designers Latifa Saeed is an Emirati multidisciplinary conceptual artist and designer. 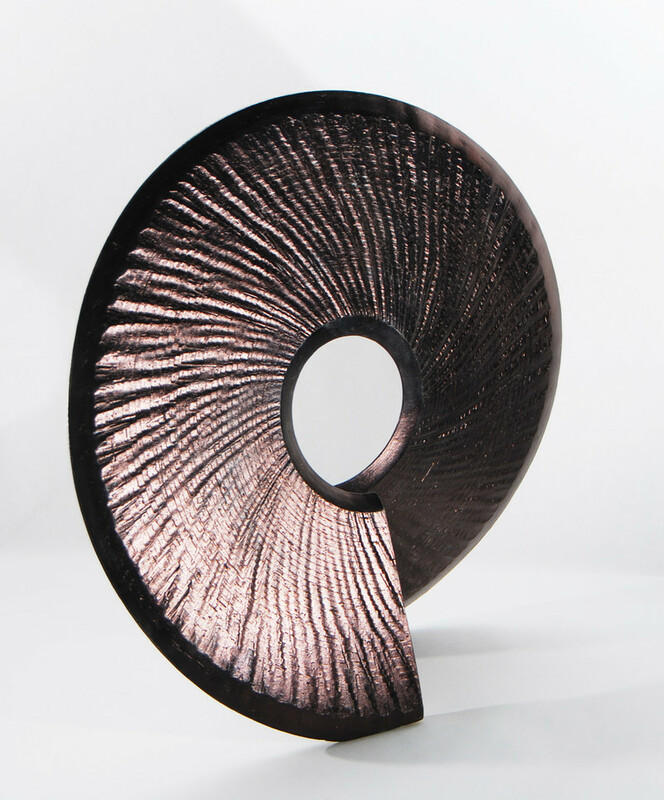 In recent years, she has worked with traditional Emirati artisanal techniques and materials, reviving them in a contemporary context. She views design as a both a commodity signifying modernity and a system of preserving heritage. 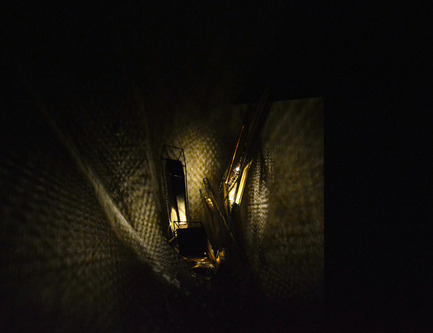 Syrian Talin Hazbar’s work questions structures and materials. She experiments with materials to test their behaviours, challenge their properties, and recall built structures. Drawing inspiration from natural landscapes, Hazbar’s work often features time as a tangible element – many of her pieces seem to capture a frozen moment. 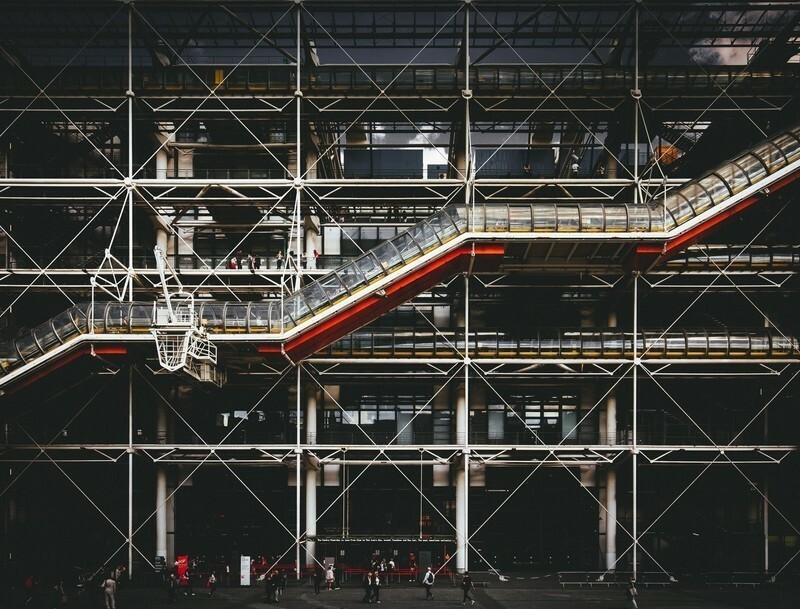 The installation Inspired by boat sails, Unfolding is a series of abstract shapes made from scaffolding poles. Using the idea of negative space in sculpture, the installation aims to capture the moment of making as a work-in-progress and express the artist’s exploration for a concept as a piece in itself – elevating the unfinished to the status of finished work. The piece in influenced by the designer’s experience of growing up in Dubai as the city was constructed around her. The designer Born and based in Dubai, Zeinab Al Hashemi is a conceptual artist specialising in site-specific installations, modern sculpture and public-space artworks. Her practice is driven by an ongoing exploration of the concepts of space and time, using a place’s history to explore its outcome and deconstructing and reconstructing her chosen medium to foreground what would normally be overlooked. 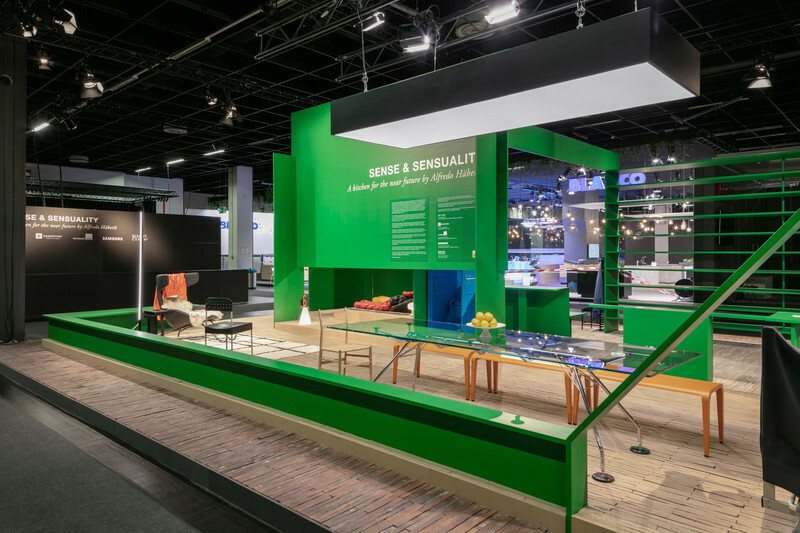 Dubai Design Week was established by Art Dubai Group in partnership with Dubai Design District (d3) and under the patronage of Her Highness Sheikha Latifa bint Mohammed bin Rashid Al Maktoum, Vice Chairman, Dubai Culture & Arts Authority. Dubai Design Week is also supported by Dubai Design and Fashion Council and Dubai Culture & Arts Authority. Dubai Design Week helps to place Dubai on the map as a leading design hub, shining the international spotlight on the city and its exciting design talent. In addition, in the spirit of collaboration and mirroring the city’s global outlook, the week also offers a platform for regional and international designers and brands. 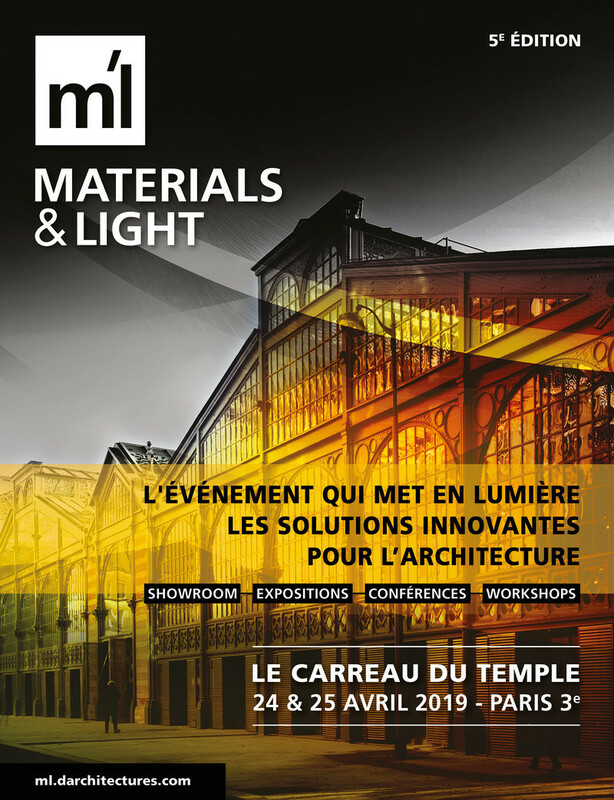 The annual event encompasses culture, education and entertainment, spanning multiple disciplines of design, from graphic and product design to architecture and industrial design. 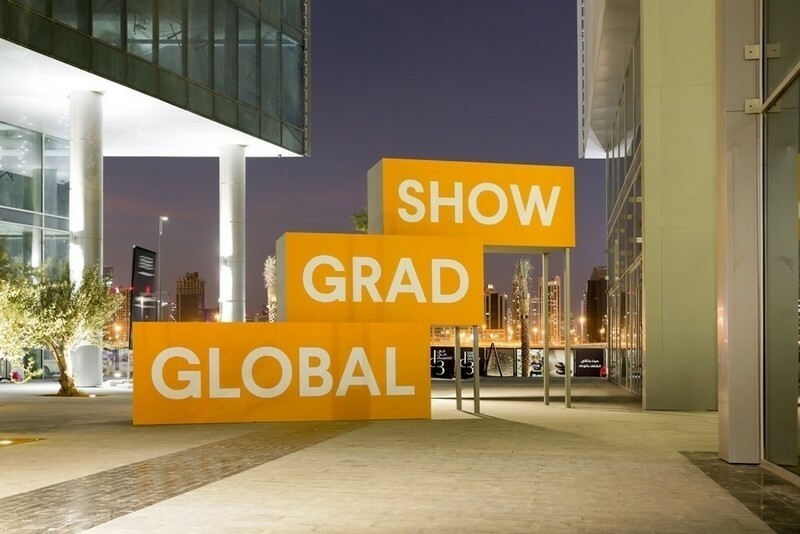 Coinciding with Downtown Design, the region’s leading, quality-driven design trade fair, Dubai Design Week also includes key initiatives, such as: ‘Abwab’, ‘Global Grad Show’, ‘Destination’, and ‘Iconic City’. From 26-31 October 2015, the city-wide celebration of design will enthrall Dubai with design, engaging the local community and visitors alike. Dubai Design District, better known as d3, is a home for the region’s growing community of creative thinkers. It plays a key element in Dubai’s vision to transform into an innovation-led economy, and it aims to engage, inspire and enable emerging talent, as well as providing a platform to showcase Arab creativity to a larger, global audience. As a dedicated creative destination, d3 answers a growing need for the regional design industry, ensuring that this important sector is able to develop and thrive. It provides businesses, entrepreneurs and creatives from across the design value chain with an ideally located, purpose built and sustainable ecosystem, which leverages technology to integrate ‘smart’ solutions throughout the development. d3 is the newest of TECOM Group’s vibrant creative communities, with 11 buildings making up the core of the site already delivered and being handed over to tenants. To support its many creative partners, d3 offers individuals and businesses the choice of operating either as a free zone entity or as an on-shore business, each with its own merits. As d3 evolves so will its facilities, to include everything from cutting-edge workshops and renowned design institutes, to original residential, hospitality, retail and office space. Its public spaces will be distinct and characterised by unique street furniture and shaded walkways. By 2018, d3 will feature a one million square foot Creative Community, which will act as the site’s cultural epicentre, inspiring emerging designers and artists, and attracting tourists to the area. By 2019, d3 will also boast a bustling, 1.8km esplanade running alongside the Dubai Creek, which is where international and design led hotels, a pop-up shop area, and an amphitheatre will all be located. All of these various elements have been carefully designed to ensure that the creative thinkers using and visiting d3 every day have an energised and culture rich environment where they can coexist. The Dubai Culture & Arts Authority (Dubai Culture) was launched on March 8, 2008 by His Highness Sheikh Mohammed Bin Rashid Al Maktoum, UAE Vice President & Prime Minister and Ruler of Dubai. Dubai Culture plays a critical part in achieving the vision of the Dubai Strategic Plan 2021 of establishing the city as a vibrant, global Arabian metropolis that shapes culture and arts in the region and the world. The organization has announced several initiatives that strengthen the historic and modern cultural fabric of Dubai. These include: The Sheikh Mohammed Bin Rashid Al Maktoum Patrons of the Arts Awards: The first of its kind initiative in the Arab world honouring individuals and organisations who have made financial or in-kind contributions through sustained support to visual arts, performing arts, literature and film in the region: Dubai Art Season: The city’s premier umbrella arts initiatives which encompasses Art Week (Art Dubai, Design Days Dubai and SIKKA Art Fair), Middle East Film & Comic Con, to highlight the Emirate’s growing creative landscape within the international circuit; SIKKA Art Fair: An annual art fair aimed at promoting Emirati and local artists in the UAE; and Dubai Festival for Youth Theatre: An annual festival that celebrates and fosters the art of theatre in the UAE.